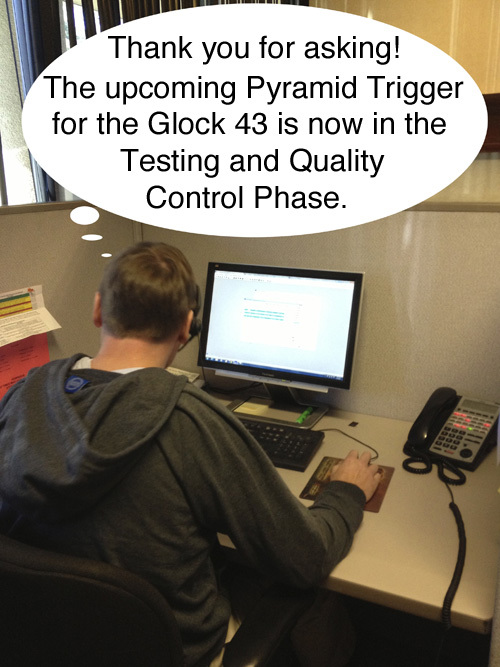 Glock 43 Pyramid Trigger Now Available! 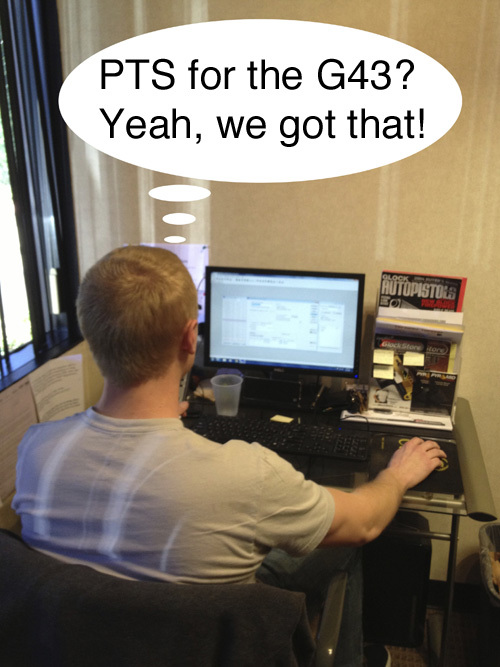 We’ve been waiting to say this for a long time! 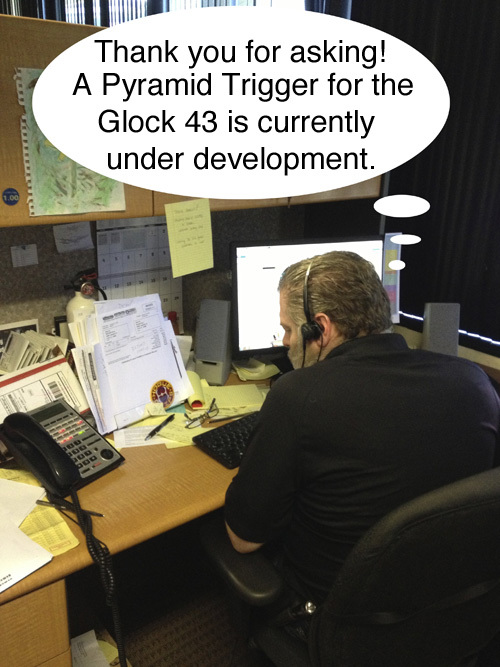 Basically, people have been asking for a Glock 43 Pyramid Trigger since that sweet little Glock first hit the shelves. The answer, however, has been changing quite a bit over the last few months. Aluminum Shoe and Trigger Safety in your choice of colors. 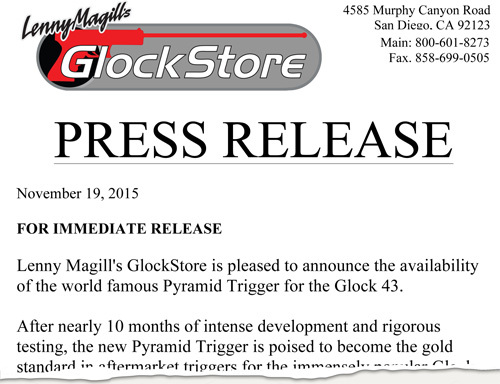 1) It’s a smoother, lighter, crisper trigger pull. 2) You can get both the trigger and safety in your choice of colors, as long as it’s either Black, Blue, Gold, Pink, Silver, or Red! 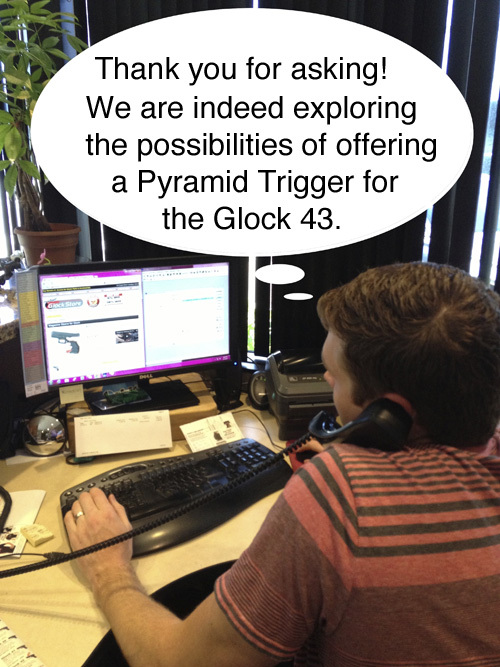 3) In addition to the Pyramid Trigger Kit for the Glock 43 introduction video that is currently online, we will have installation videos up shortly… certainly before your Pyramid Trigger arrives at your door!